DJ Anthony Mark is personalized disc jockey entertainment company located in Brick, New Jersey. We are about 20 minutes from Seaside and Point Pleasant, NJ and within a few hours of New York City or Philadelphia. DJ Anthony Mark was started by Anthony Mandrik on April 1st, 2000 (yes, April fools day). Previously, Anthony worked with local mobile DJ companies and worked at a few bars/clubs. During that time, he not only expounded his knowledge of music but learned from some of the industry leaders in Wedding Etiquette and Party Interaction. After a few years, Anthony's entrepreneurial spirit lead him to start his own mobile dj company, AM Entertainment (DJAnthonyMark.com). 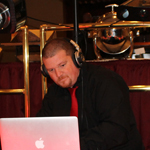 DJ Anthony Mark has since, established itself as a local leader in Personalized DJ Entertainment. It was Anthony’s goal to provide the personal attention of a single operator at a competitively priced service for the Jersey Shore area.